COLUMBUS, Ohio — A study by scientists at The Ohio State University played a key role in a recent public health and environmental risk assessment of reusing spent foundry sands, or SFS, in certain soil-related uses. The sands are a byproduct from the metal casting industry. Nicholas Basta, professor of soil and environmental science, and Elizabeth Dayton, research scientist, both in the School of Environment and Natural Resources, did an intensive analysis of SFS in conjunction with the U.S. Department of Agriculture’s Agricultural Research Service. The school is part of Ohio State’s College of Food, Agricultural, and Environmental Sciences. The scientists’ work supported a risk assessment by the U.S. Environmental Protection Agency, which found that silica-based SFS from steel, iron and aluminum foundries, when used in certain soil-related applications, including making soil blends for residential use, are not a threat to public health or the environment and in fact have a range of green benefits. Metal foundries buy and use virgin sand to make metal casting molds and cores. The foundries reuse the sand, but over time, heat and mechanical abrasion make it unsuitable for further casting. This spent sand is then either recycled in a nonfoundry use or is landfilled. 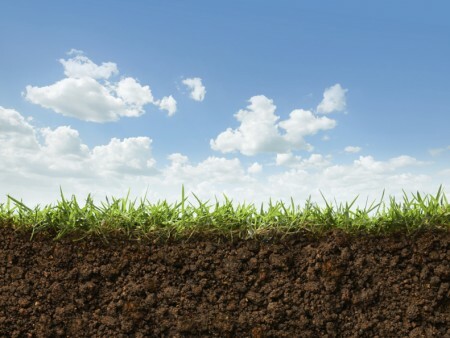 Now, possible new uses for the material include being an ingredient in manufactured soils, an ingredient in soil-less potting media and a foundation layer for roads, according to an EPA website based on the assessment. The benefits of that reuse, according to the same website, include less need to mine virgin sand, savings of water and energy, and lower costs for foundries and their customers. “These guidelines will be of great benefit to the state of Ohio and to the foundry, natural resource and agricultural industries,” Basta said. The approximately 2,000 metal foundries in the U.S., many of them in Ohio and elsewhere in the industrial Midwest, dispose of 10 million tons of SFS every year in landfills at great economic cost to the industry and society, Basta said. Diverting SFS from landfills into beneficial soil materials would allow Ohio foundries to become more competitive and create startup industries and jobs in the state focused on producing and marketing SFS soil blend materials to the public, the scientists said. “The guidelines will propel the beneficial reuse of foundry sand as a resource in Ohio,” Dayton said. To learn more about the potential uses of spent foundry sand or to read the scientists’ risk assessment, visit epa.gov/epawaste/conserve/imr/foundry/index.htm.